Hansal Mehta strips the tragic true story of all vestiges of overt sentimentality. Aligarh, essentially a study of a victim of entrenched prejudices, articulates its poetry of pain with remarkable precision, right down to the subtlest of its nuances. Screen-writer Apurva Asrani fills the depths of the understated but intensely moving drama with genuine, unsettling emotion. It encapsulates the plight of all dissenters. So, in addition to being a portrayal of the gay experience in an unjust and insensitive society, Aligarh is a human drama with universal resonance. Hansal Mehta’s Aligarh comes at an important time when the Supreme Court has ruled in favour of reopening the debate on gay rights in India. The story, an introductory disclaimer asserts, is inspired by real events modified on the basis of related media reports and legal proceedings. The film is set in the months following the 2009 Delhi high court ruling that held Article 377 unconstitutional and decriminalized homosexuality – the verdict was overturned by the Supreme Court in 2013. Aligarh, as piercing and poignant a portrait of loneliness as any that Indian cinema has ever produced, is unswervingly true to that dictum. Mehta’s treatment of an emotive theme is sensitive and sedate; the film’s impact is searing. 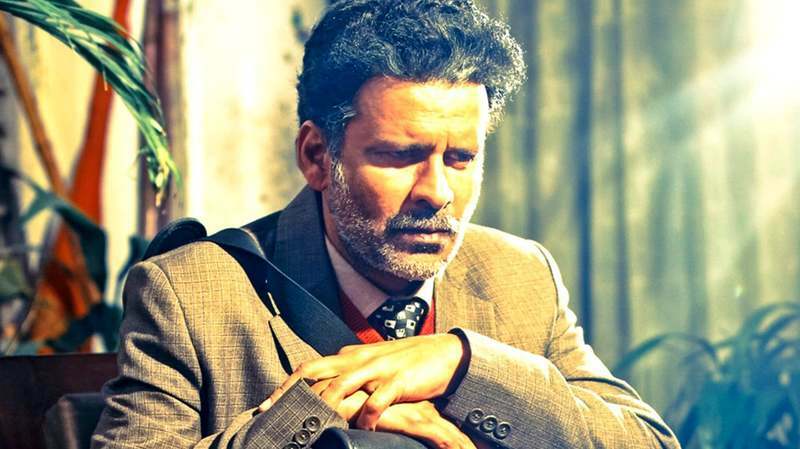 The film has its own pace and fabric as it narrates the story of 64 year old Professor Siras of Aligarh University who was suspended from the organization for being a homosexual. Based on a true story, Hansal Mehta touches upon several issues and topics apart from gay rights in this two hour long biopic. Aligarh is equal parts a powerful character study, an incisive social commentary, a tragedy of harrowing proportions and a cautionary parable about a society rife with contradictions. Manoj Bajpayee is, without a doubt, a classic case of criminally unexploited acting potential. His sensitive portrayal of a reclusive, almost shy professor of Sanskrit, caught in the eye of a totally unexpected storm, is decidedly the backbone of this story which would likely go a very long way in changing the outlook of an ordinary Indian about people who just happen to have a different physiology. With every pore and sinew pressed into service, Bajpayee, in a miraculous osmosis, becomes inseparable from the tragically reclusive figure that the Marathi teacher and poet was. Manoj Bajpayee has delivered a scintillating performance of a lifetime. He shivers, he cries, he shouts, he hides like a cat, he loves, he lives… he inspires. Aligarh is a story of hope and innocence in a time when prejudice and judgement substitutes compassion and kindness. Aligarh is more than just a film about gay rights. It documents the human spirit, and the freedom it struggles to sustain despite its oppressive surroundings. But more so it is a tale of human rights. Mehta has used Siras as a metaphor to highlight optimism in a time of a pessimistic environment. There are moments in the film where you feel more than just empathy and compassion for Siras. Aligarh hinges on the legal battle that Siras fought against his university to have his job, home and dignity restored to him. Siras loses his professorship and his staff accommodation after two media men armed with a video-recorder barge into his home and film him in bed with a rickshaw-puller. What follows is an unpleasant, concerted campaign by the university authorities to hound the professor and break his spirit. The older man, battered by the vagaries of life, is a few months away from superannuation. He clings to his pint of Royal Stag and fix of old Lata Mangeshkar songs to tide over his solitude. Melancholy hangs heavy on Siras. Even the two Lata numbers that he savours – both soulful Madan Mohan compositions – are gloom-drenched. The lecturer, with his back to the wall, finds an unlikely sympathiser in a trainee journalist. Rajkummar Rao who is Mehta’s muse delivers yet again. His journalist Deepu is curious and hungry for knowledge. At the very same time he’s also candid and naive. His scenes with Manoj are terrific and a lot of his communication happens through his eyes and body language. Manoj Bajpayee gives the performance of a lifetime. As Siras, the actor projects much more than just a mimetic guise. He digs very, very deep to totally internalise the man’s debilitating agony; he breathes in life and color even in the weakest scenes. The stutter, pauses, anger, sorrow, an amalgamation of emotions fill up the screen. Manoj Bajpayee, as a gentle, dignified soul whose privacy is invaded by a blinkered society intolerant of its non-conformists, propels Aligarh forward. The portrayal of the sheer apathy of the system, the ignorance and resulting hatred/fear of the common people and the sense of doom and depression that the protagonist slowly descends into is heart-rending. The possible reasons why a professor of the Aligarh Muslim University was persecuted might have had more to do with other issues than his preference for intimate companions. The movie raises these relevant questions in a very matter of fact way, without over dramatization, without directly pointing fingers or making obvious villains out of the people really responsible for the persecution. Previous story Why Madras Cafe is not your average Bollywood thriller?